【Super Breathable & Skin-friendly】Made of high quality Lycra and Ice Silk net,great heat dissipation, highly breathable, no sticky to your skin, soft,lightweight and comfortable to wear.Can pull up to 60cm(23.6 inch),suitable for 9\"-16\" arm. 【360°Rotation】Compare with 180°rotation arm holder, innovative 360°rotation makes it easy to take pictures, check messages, and answer call. Full access to touch screen and all buttons. 【Key and Headphone Holder】Keyhole can effectively avoid the loss of your key and earphone cable clamp can help you sort out the cable, giving you the best sports experience. 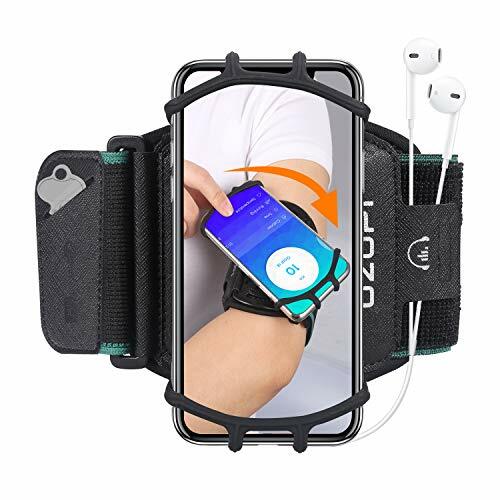 【100% SATISFACTION and MONEY BACK GUARANTEE】- all UZOPI products come with a 1-year limited warranty and our 100% Money Back Guarantee to ensure the enjoyment of your purchase.